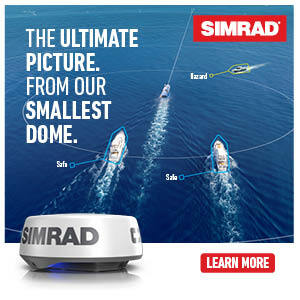 With the new SIMRAD Echo Sounder, there are three new features to be aware of: Minute Marker, Color Marker, and Color Erase. If we’re not picky on the fish we want for the day, Color Marker allows us to see everything that is below the boat, ranging from a bonefish to a hammerhead. If there’s something specific we’re searching for, like a sailfish, Color Erase will keep the color that distinguishes the sailfish, and erase everything else on the screen. This makes it easier to narrow down our searches, and really hone in on what we’re looking for. Newer PostAMERATRAIL | Load. Launch. Relax.